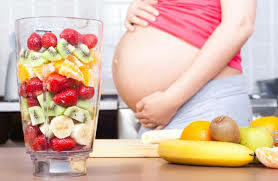 If you are pregnant and a vegetarian, there is nothing to worry about as your baby can get all the necessary nutrition for development from vegan food also. During pregnancy, you should choose different types of vegetarian meal plans for getting enough calcium, protein, vitamins and calories. Make sure you include some of the mentioned foods for keeping yourself as well as your baby healthy. Have at least one source of folic acid in your meal every day. It prevents birth and neural tube defects and helps in the production of red blood cells. Lima beans, broccoli, black beans, citrus fruits and chickpeas are some of the best sources of folic acid. During the first three months of pregnancy, you don’t need extra calories so eat as per your normal body weight. Increase caloric intake during the second and third trimesters by 300 to 450 calories per day, which will help in your baby’s growth. Ensure that you get 1200 mg. of calcium daily in your diet as it’s important for your baby’s bones and teeth development. Dairy products are the best source of calcium for vegetarians. You can also include green leafy vegetables, dried beans, almonds, okra, etc. Sun is the best source of vitamin D, it helps in absorbing calcium and phosphorous from the daily diet. You should receive direct sunlight for ten minutes every day (the time varies for every person). You can also take supplements as prescribed by the doctors. Include fiber-rich foods like whole grains, cereals, oats, fruits and vegetables in your daily diet. The fiber in foods is filling and satisfies the hunger, which helps in maintaining the body weight. Fiber also regulates the bowel functions, blood pressure and reduces the risk of diabetes. Limit the intake of caffeine (not more than 300 mg. per day). Avoid chocolates which contain caffeine; also do not include artificial sweeteners in your meals. Consumption of alcohol can lead to miscarriage or premature delivery, so avoid it. Limit the intake of extra salt as it can lead to water retention and can make you feel bloated.